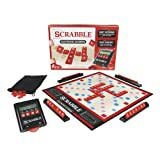 Place all letter tiles in the pouch or facedown besides the board. Then mix or shuffle them. Draw a letter to decide who will start to play. The one with the letter closest to "A" starts. A blank title beats any letter. When both players draw the same letter, draw another one. Now return all letters to the pool and remix (shuffle) them. the players draw seven new letters each and put them on their racks. Pick also a player to keep score on paper. Finally, the players should agree which dictionary they will use, in case of a challenge. All words labeled as a part of speech (including those listed of foreign origin, and as archaic, obsolete, colloquial, slang, etc.) are permitted with the exception of the following: words always capitalized, abbreviations, prefixes and suffixes standing alone, words requiring a hyphen or an apostrophe. The players form words on the gameboard using letters from their racks. Each letter has a different value. On the board, some premium squares can increase the letter or word value. The player with the highest final score wins the game. The first player combines 2 or more of his or her letters to form a word. He places this word on the board to read either across or down with one letter on the center square. Diagonal words are not allowed. Since it uses a "premium square", the score for this first word is doubled. Count and announce the score for that turn. Complete the turn by drawing as many new letters as you placed on the board. Then draw as many new letters as you played; You must always keep 7 letters on your rack (as long as there are enough tiles left). The play passes to the next player left. Each in turn, every player adds one or more letters to those already played to form new words. All letters played on a turn must be placed in one row across or down the board, to form at least one complete word. If, at the same time, they touch others letters in adjacent rows, those must also form complete words, crossword fashion, with all such letters. The player gets full credit for all words formed or modified on his or her turn. Adding one or more letters to letters already on the board. Placing a word at right angles to a word already on the board. The new word must use one of the letters already on the board or must add a letter to it. Placing a complete word parallel to a word already played so the adjacent letters also form complete words. The two blank tiles may be used as any letters. When playing a blank, you must state which letter it represents. It remains that letter for the rest of the game. Place your discarded letter(s) facedown. Draw the same number of letters from the pouch. Mix the discarded letter(s) into the pouch. You can not exchange tiles if there are fewer than 7 tiles left. Ending the Game: The game ends when all letters have been drawn and one player uses his or her last letter or when all possible plays have been made. The scorekeeper writes the score of each player on the scorepad after each turn. Use a score pad or piece of paper to keep a tally of each player's score, entering it after each turn. The value of each letter is indicated by a number at the bottom of the tile. The score value of a blank tile is zero. The score for each turn is the sum of the letter values in each word(s) formed or modified on that turn. Additional points obtained from placing letters on premium squares. Premium Letter Squares: A blue square doubles the score of a letter placed on it. A green square triples the letter score of a letter placed on it. Premium Word Squares: The score for an entire word is doubled when one of its letters is placed on a red square. It is tripled when one of its letters is placed on an orange square. If a word covers two premium word squares, the score is doubled then re-doubled, or tripled then re-tripled. Letter and word premiums count only on the turn in which they are played. Letters already played on premium squares count later at face value. When a blank tile is played on a red or orange square, the value of the word is still doubled or tripled. When two or more words are formed in the same play, each is scored. The common letter is counted for each word. BINGO! If you play 7 tiles on a turn, it's a Bingo and you can add 50 bonus points to your score. Unplayed Letters: When the game ends, each player's score is reduced by the sum of his unplayed letters. 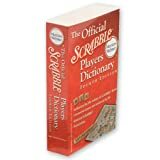 In addition, if a player has used all of his or her letters, the sum of the other players' unplayed letters is added to that player's score. 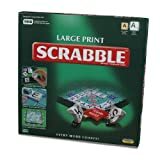 In case of a tie, the player with the highest score before deducting or adding unplayed letters wins.